The second design was the “High Survivability Test Vehicle (Lightweight)” aka the HSTV(L) the first prototype was completed in 1980. 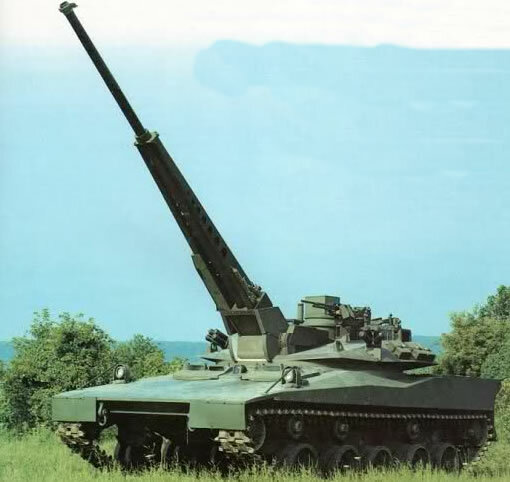 It used the same 75mm main gun and autoloader as the HIMAG in a very low profile turret. The gunner and driver were located in the front of the hull and had driving controls with semi-reclined seating positions. The vehicle used an improved version of the older M551 Sheridan Light Tank running gear (tracks and road wheels) and was powered by a gas-turbine engine. The vehicle did not enter service but was further developed in to the RDF/LT (see next entry).